Agreement to Sell—Part performance—When recital of delivery of possession is not there, the agreement to sell is not compulsorily registrable. Comments Off on Agreement to Sell—Part performance—When recital of delivery of possession is not there, the agreement to sell is not compulsorily registrable. 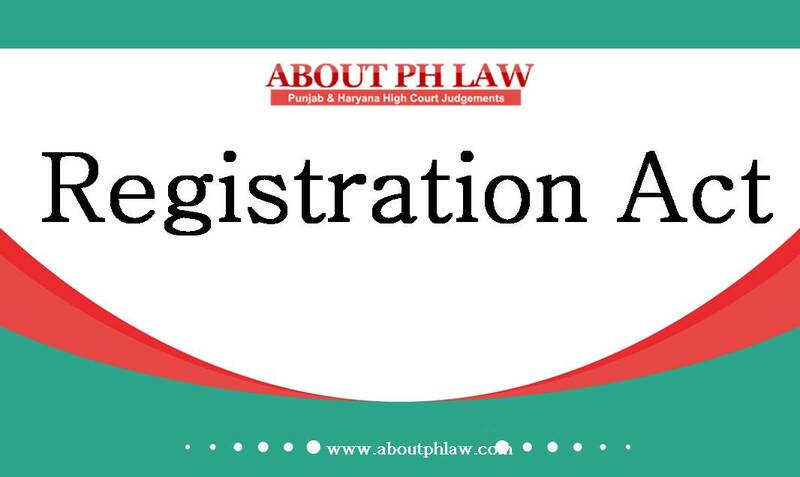 Registered Documents—Registering authorities are not competent to cancel the registered document—Only remedy is to challenge it before civil court. Comments Off on Registered Documents—Registering authorities are not competent to cancel the registered document—Only remedy is to challenge it before civil court. Transfer of Property Act, 1882,53-A-Part Performance-Plea of part performance can be taken only in defence. Comments Off on Transfer of Property Act, 1882,53-A-Part Performance-Plea of part performance can be taken only in defence.